Every festive occasion deserves a cake, right? So, for Father's Day, why not try baking this simple and fun Reese's Pieces Father's Day cake? 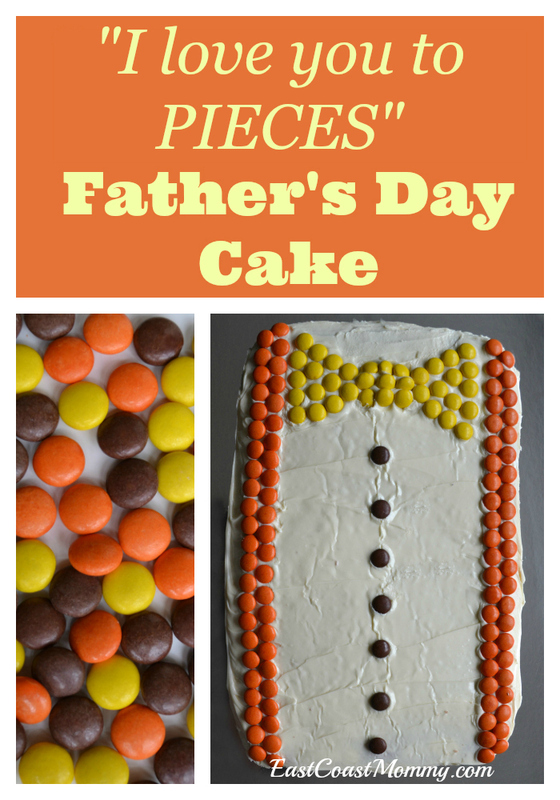 I call it the "I love to you PIECES" Father's Day cake. 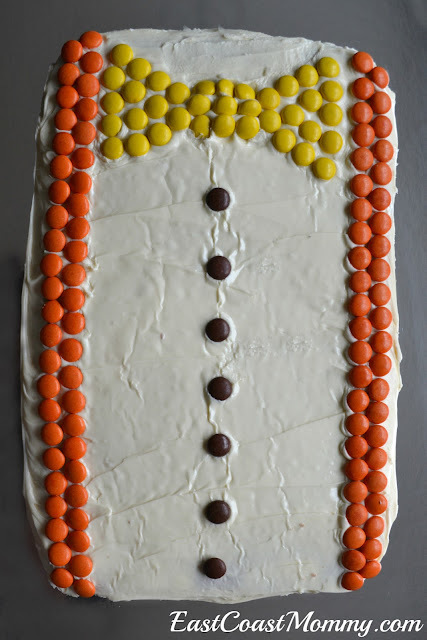 I baked the caked, let it cool, iced it, and then used the candy to make a yellow tie, orange suspenders, and brown buttons. That's it! This cake really is simple to make. I think kids would enjoy helping place the candies on the cake too. Happy Father's Day! Father's Day is a time to let the special men in our lives know how much we love them, and Father's Day wouldn't be complete without heartfelt handmade cards and gifts. 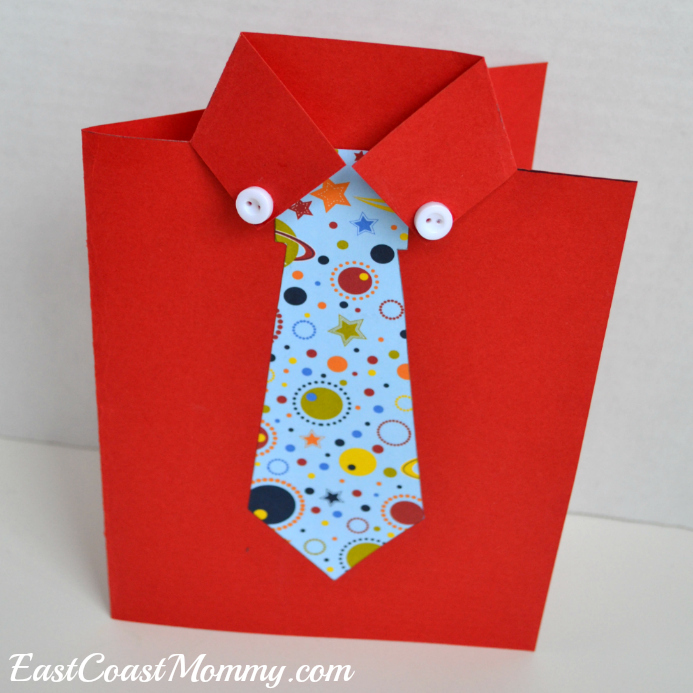 Today, I am sharing an adorable "shirt and tie" Father's Day card that will definitely delight Dad! 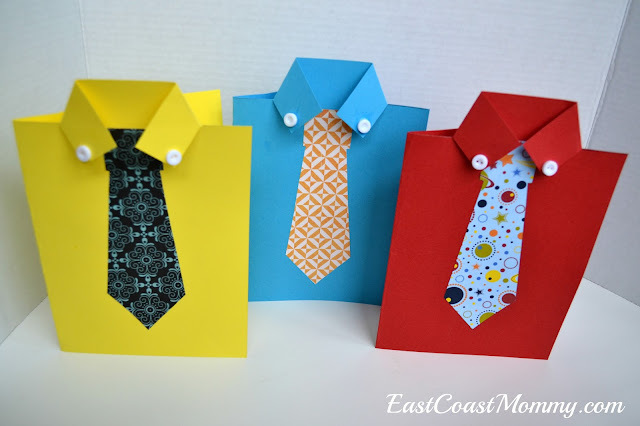 1) Fold a piece of coloured card stock in half. 2) Cut a small slit on each side (at the top of the paper). The size of the slits will depend on the size of your paper. My paper was 9"x12" and my slits were 1 1/4" on each side. 3) Unfold the card, and cut along the fold until you reach the slit. 4) Cut the top off the back of the card at the same level as the slits. 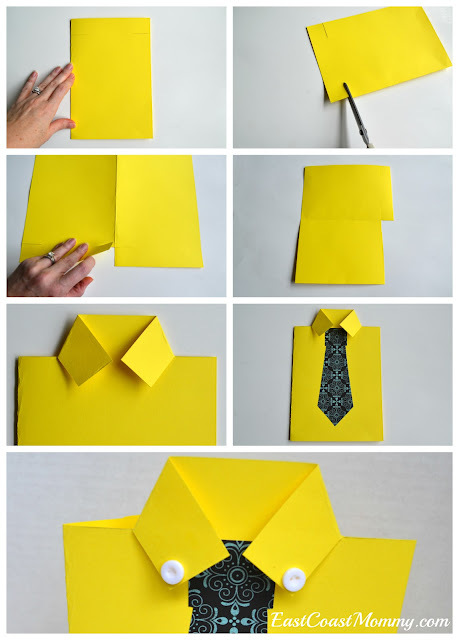 5) Fold the top of the card to create a shirt colour. 6) Cut a piece of scrapbook paper into the shape of a tie, and glue it to the front of the card. 7) Use white glue to attach small buttons to the corners of the collar. Cute, right? 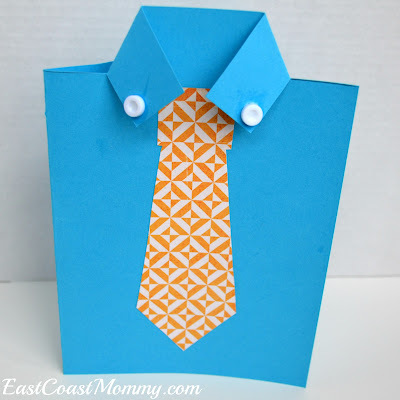 And, you can experiment with different colours of card stock and scrapbook paper. 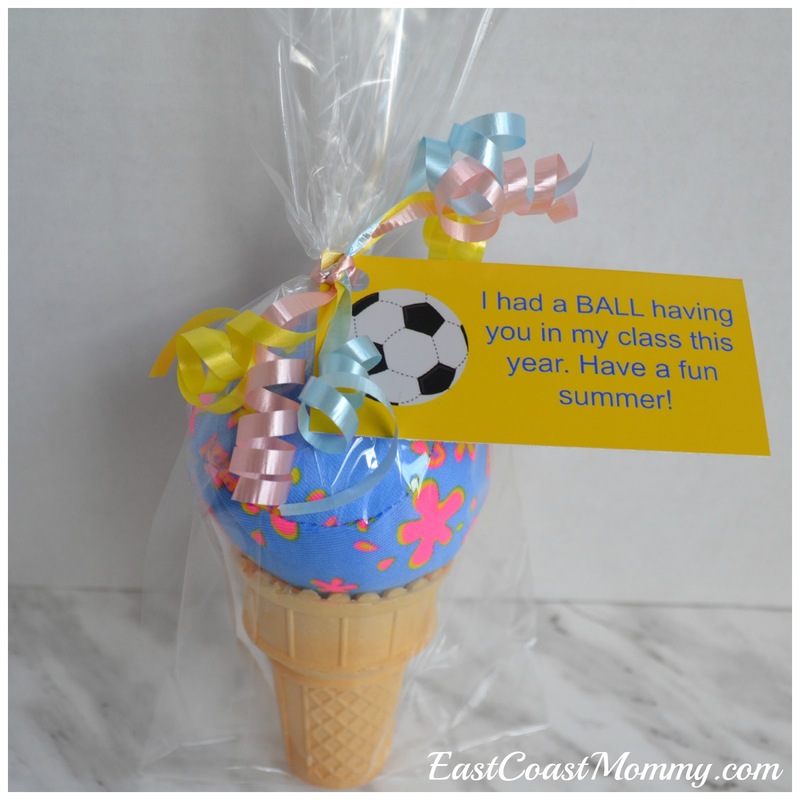 Kids will love creating their own versions and adding special notes and messages to the inside. Do you have a favourite colour combination? 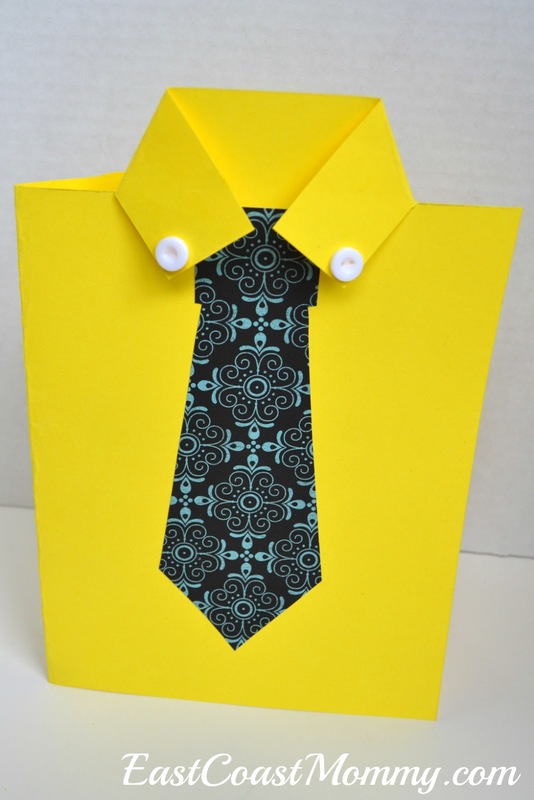 I love how the bright colours and patterns make these cards cheerful and perfect for giving to Dad on Father's Day. 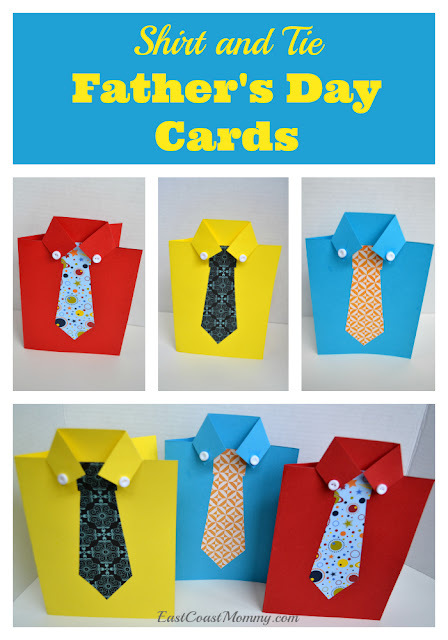 And if you are looking for MORE ways to make your sweet guy feel special, you should check out this post where I have gathered some of my favourite Father's Day ideas all in one place. Seriously... our kids have no idea how much easier their lives our than ours were when we were children. Am I right? This generation doesn't realize the extent to which technology has changed the way so many things are done. Below I am sharing 13 reasons why our kids have it way better than we did. 1) We had to go to the library to do research for a school project... and kids today have Google. 2) We had to remember phone numbers (or use a phone book!)... and kids today have all their friends' contact info in their phones. 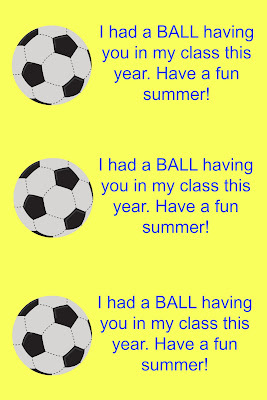 3) We had to call our friends... and kids today can avoid countless awkward conversations by sending texts. 4) We got busy signals and had to try for hours to get a message to a friend... and kids today can call, text, snapchat, and/or email anyone at any time. 5) We had to dial phones... and kids today just lightly tap numbers on a screen. 6) We had to tape our favourite songs off the radio (complete with the DJ talking over the beginning of the songs)... and kids today can use countless apps to create playlists of their favourite songs. 7) We had to live with the terrible "red eye" and "closed eyes" pictures (that we only discovered after we got our films developed)... and kids today can take perfect selfies with great lighting, angles, and filters. 8) We had to type things over or try to use correcting tape... and kids today can just "backspace" away their mistakes. 9) We had to get up and turn the channel when watching TV... and kids today use remotes from the comfort of the couch. 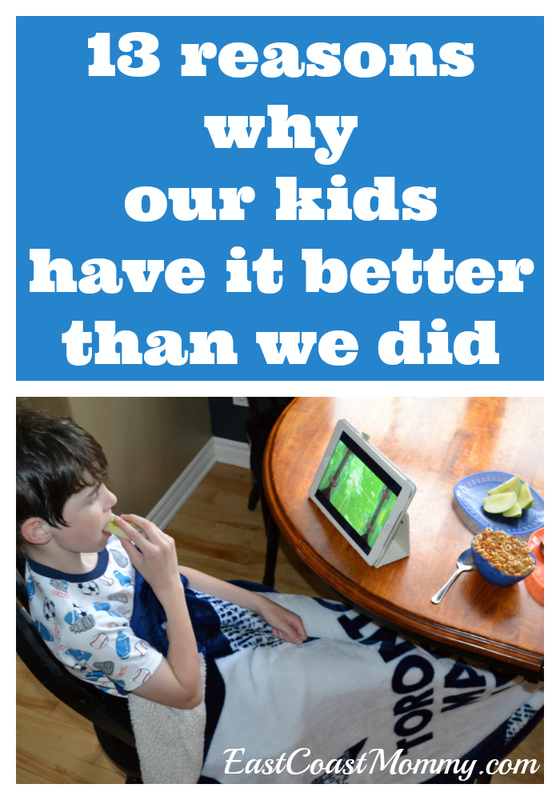 And Netflix* has really made life easier (and more entertaining) for our kids. 10) When we went for a long drive we had nothing to do but look out the window... and kids today can download their favourite Netflix shows onto their iPads for countless hours of entertainment. 11) We had to watch commercials... and kids today can watch any Netflix show (commercial free) any time. 12) We only had cartoons on Saturday mornings... and kids today can watch any cartoon on Netflix whenever they want. 13) We had to take turns with our siblings deciding what show to watch... and kids today can watch their favourite Netflix show on any number of iPods, iPads or TV screens in the house. Can I get a "hell yeah!"? 😀 What would you add to this list? 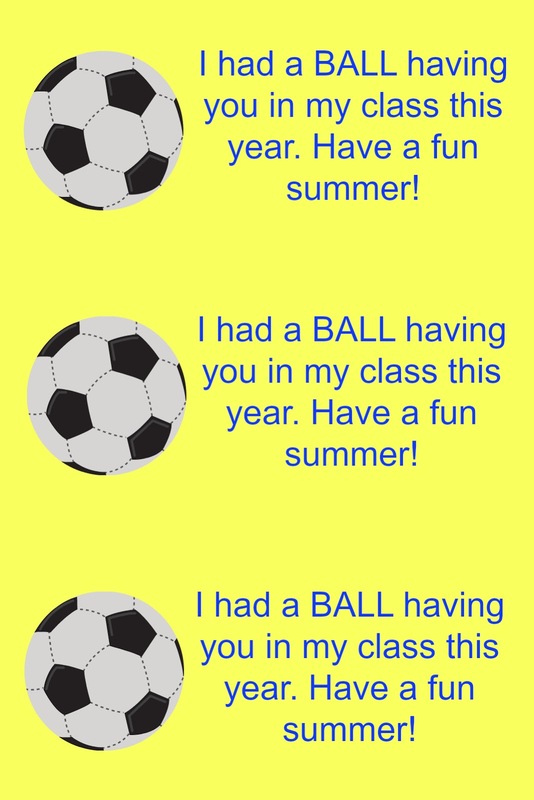 The school year is coming to a close, and little ones will soon be saying a sad goodbye to the friends they have been with all year. 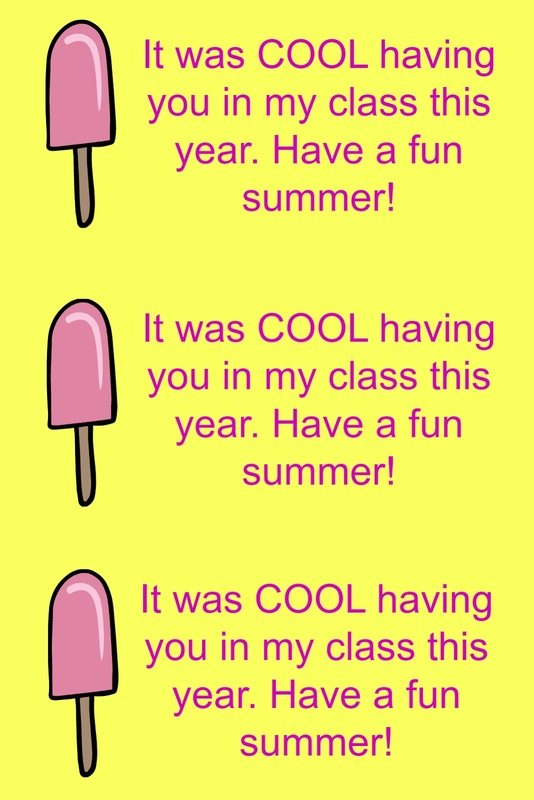 It's always fun (and makes the farewell easier) to bring a little "good bye" treat to share with classmates on the last day of school. So, today I am sharing THREE simple year end class treats with adorable FREE printable tags. Dollar store splash balls make fun treats... especially when a class mate has allergies or a school has a strict nutrition policy. You can give the balls alone, or you can pop them on top of an ice cream cones. Both options are sure to please! 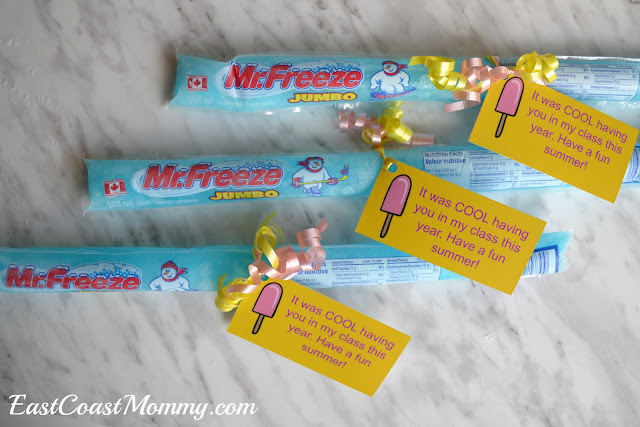 Inexpensive jumbo freezies make sweet treats on the last day of school, and the pink popsicles on the tags add an extra dose of cuteness! Prepackaged teddy bear crackers are a simple options for moms who want to send treats, but don't want to spend time in the kitchen. 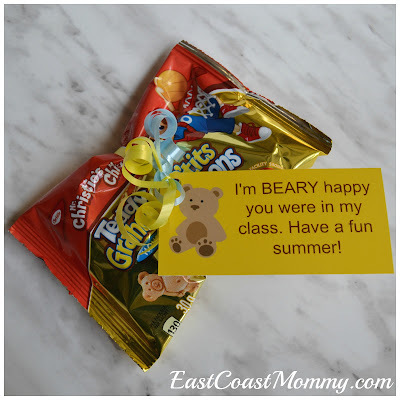 The little teddy bear tag is adorable and a wonderful option for younger kids. 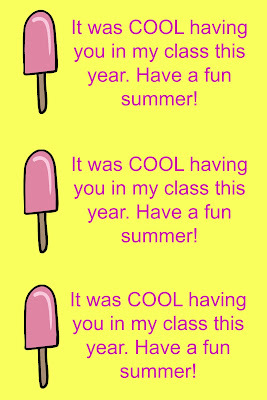 on the last day of school? Summer will be here before we know it! Isn't making a musical instrument something that should be part of every person's childhood? It's a wonderful way for kids to be creative, learn about music, and explore the science of sound. Today, I am sharing the instructions for a darling set of drums that my 9 year old made as part of class project. I think he did an excellent job crafting three drums made from tin cans. 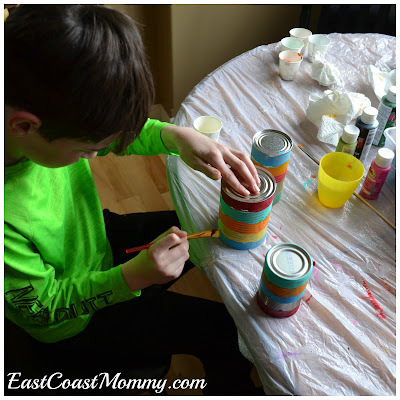 To make the tin can drums, my son started by collecting the supplies he needed: three empty tin cans (cleaned with the tops removed), colourful balloons, painting supplies, and elastic bands. Once the tin cans were dry, he cut the tops off the balloons and stretched them over the tops of the tin cans. The elasticity of the balloons holds them in place, but to make the surface tighter, he secured the balloons with elastic bands. Check out the sound of the drums when he hits them with dowels. Cool, right??? I think this is a perfect project for a rainy day, don't you? 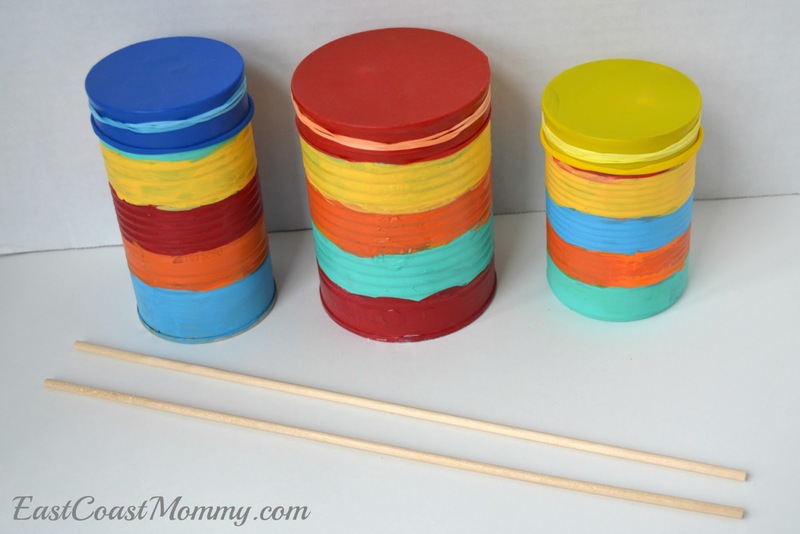 I hope you make one (or more) of these fun tin can drums with your little ones. If you do, let me know how they turn out! Mother’s Day provides the perfect opportunity to pay tribute to the wonderful woman in our lives, and it is important to put some effort into the details of the day. Today, I am sharing some simple ways that kids can make Mother's Day special. Of course, mom is going to need a gift. Store bought options (including flowers) are great, but no mom can resist the beautiful handmade treasures lovingly crafted by her children. 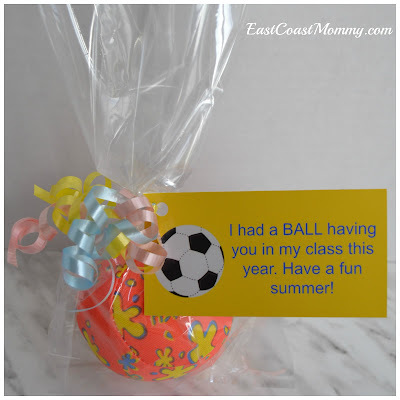 Check out these fantastic craft, card, treat, and decor ideas that dads can help little ones make and bake for their moms. Older children can make things independently, or they can write heartfelt notes. 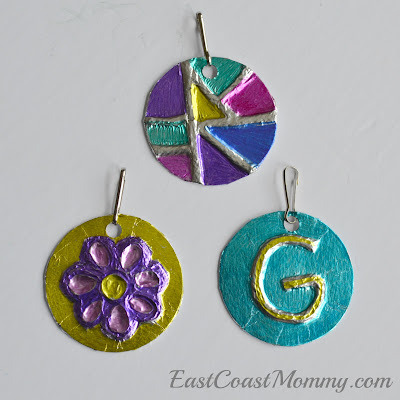 1) Sharpie pendant - Any mom would be proud to wear one of these lovely pendants made from tin foil and sharpies. 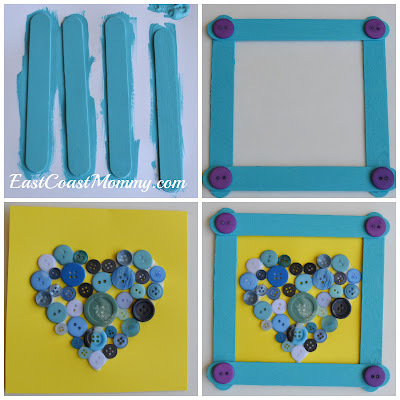 2) Popsicle stick frame - Popsicle stick frames can be made for a special photo, drawing, or button heart. 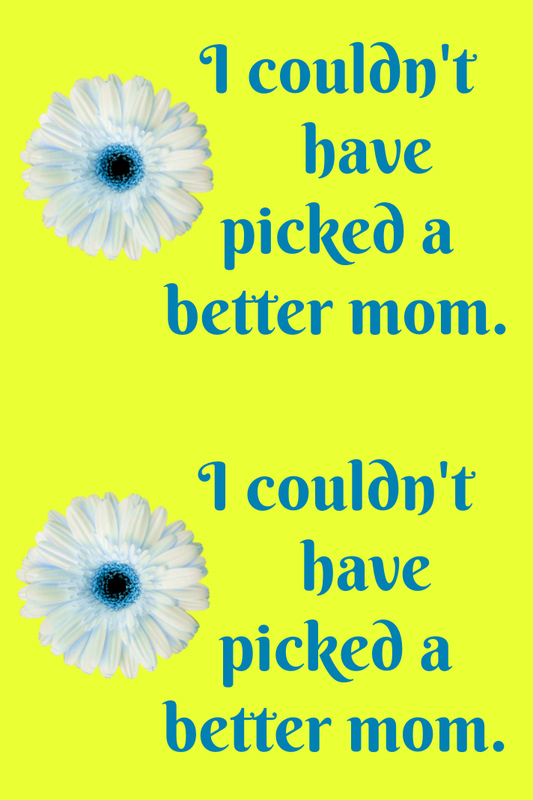 3) Hockey mom artwork - Any hockey mom would love this artwork that you can download here for FREE. There is a version for the mom of multiple kids too. 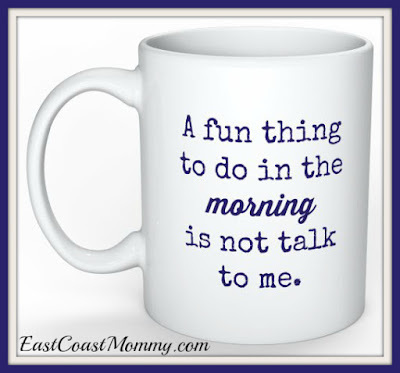 4) Custom coffee mug - There are countless options for making moms custom coffee mugs (including this cheeky option). Find out how to create your own version here. 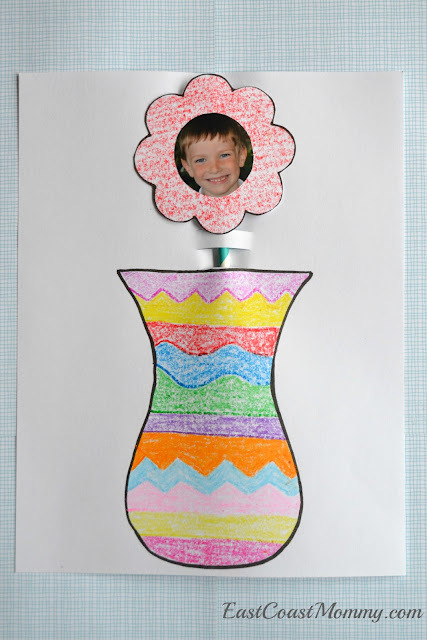 5) Photo Flower - No mom can resist a handmade treasure featuring a photo of their little one. 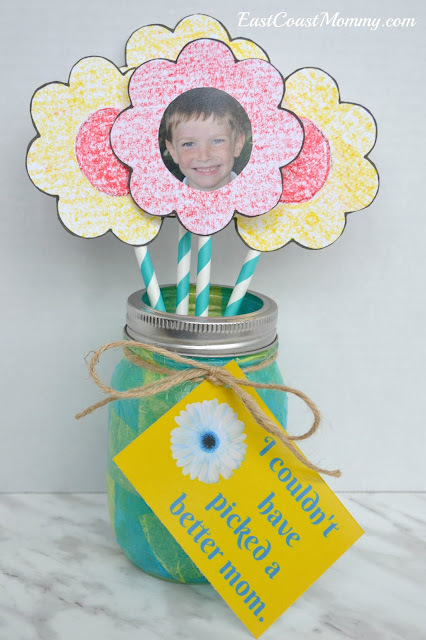 This simple vase and photo flower card are sure to make her smile. 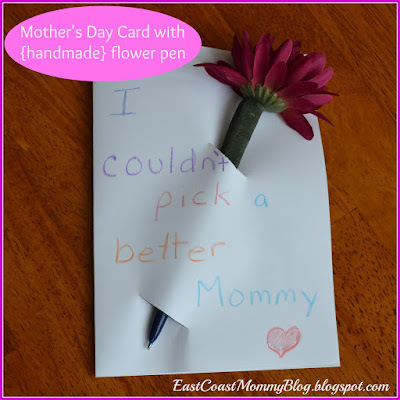 6) Card and Handmade Flower Pen - This simple card comes with a cheerful, handmade flower pen. Cute, right? 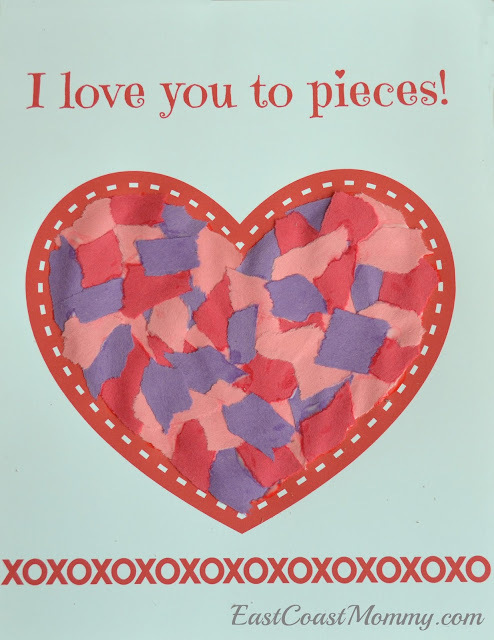 7) "Love you to Pieces" Card - Handmade cards are always special, and this one is perfect for little crafters. If a child can rip paper, they can make this simple keepsake. 8) Handprint Calendar - Give your mom a year's worth of love by making her a special handprint calendar. 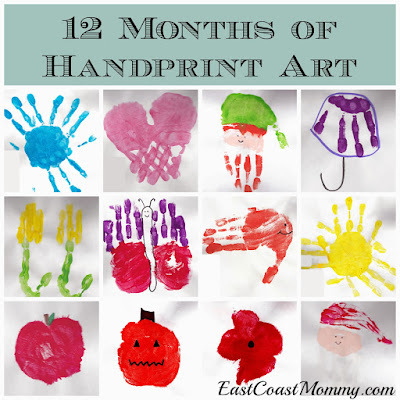 No mom can resist adorable handprint artwork. 9) Mason Jar Vase - This beautiful mason jar vase is perfect for children of all ages. It can be filled with real flowers or handcrafted paper ones. 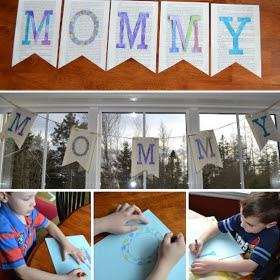 10) Mother's Day Banner - Kids can easily transform an old book into festive Mother's Day decor that their special lady will love. 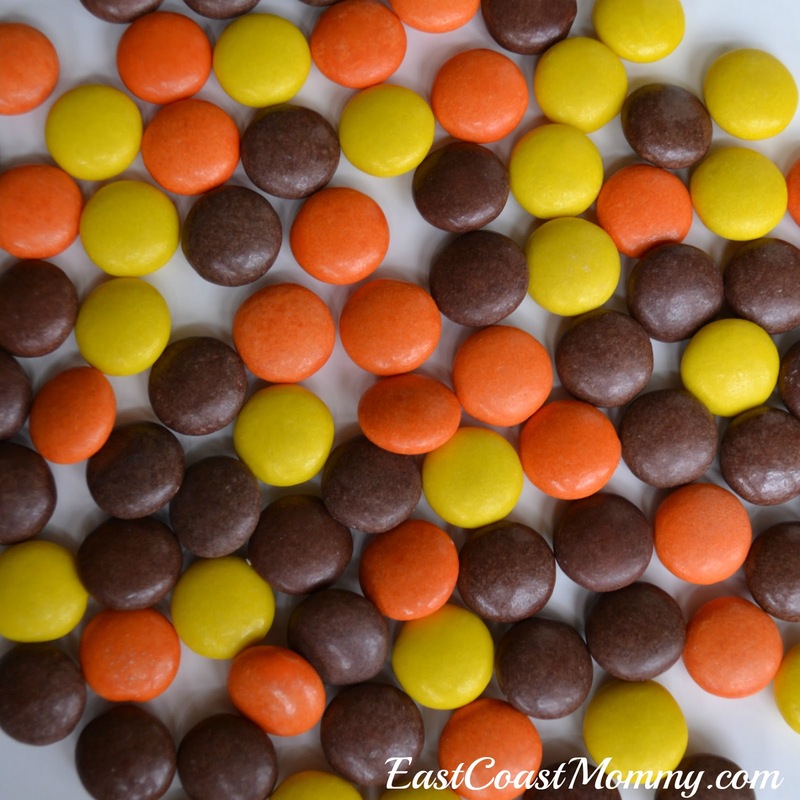 11) Sweet Treat - Serving mom a sweet treat for Mother's Day is always a great option. 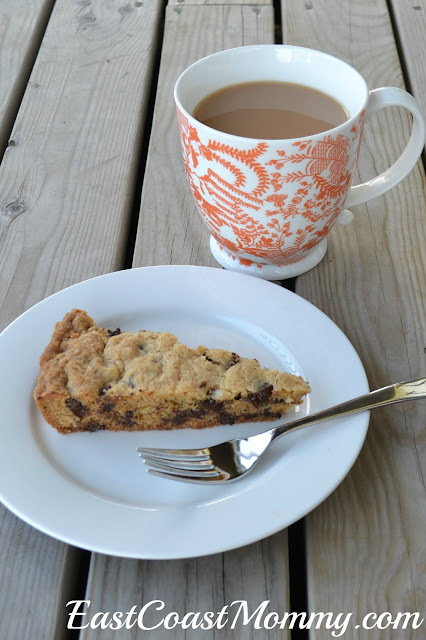 She'll enjoy a few minutes to herself with a cup of coffee/tea and a delicious, freshly baked goodie! 12) Mother's Day Photo - Moms are often behind the camera documenting her family's special moments. 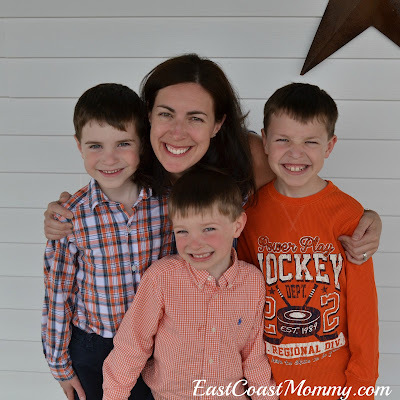 Why not take a minute on Mother's Day to snap a photo of your special lady with her tribe? 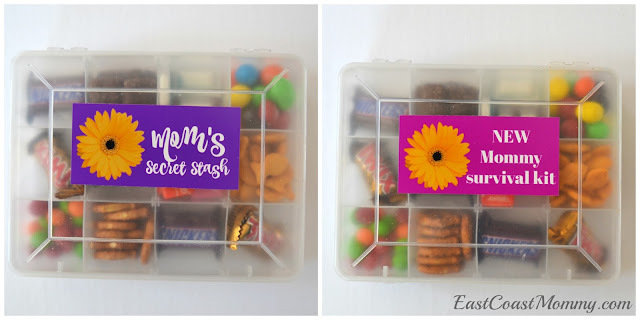 13) Mother's Day Treat Box - Every mom needs a treat to help her through the day, and these treat boxes are easy to make... and adorable. 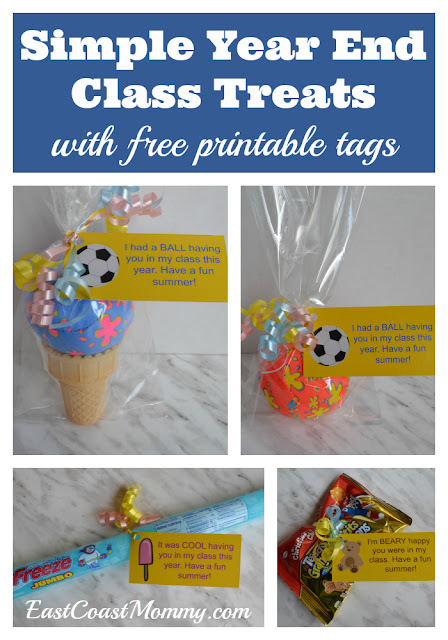 All you need to create this sweet treat is some dollar store supplies and the special tags I designed (that you can download for FREE here). 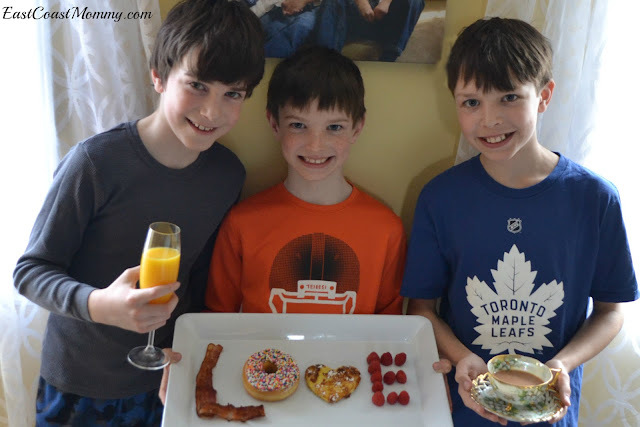 14) Breakfast in Bed - Every mom deserves breakfast in bed, and this one is full of love... literally. Check out the details here. However you decide to spend Mother’s Day, I hope you pamper the special mother in your life… because she deserves it. Happy Mother’s Day to all the lovely, hardworking ladies doing their best every day to make the world a better place. 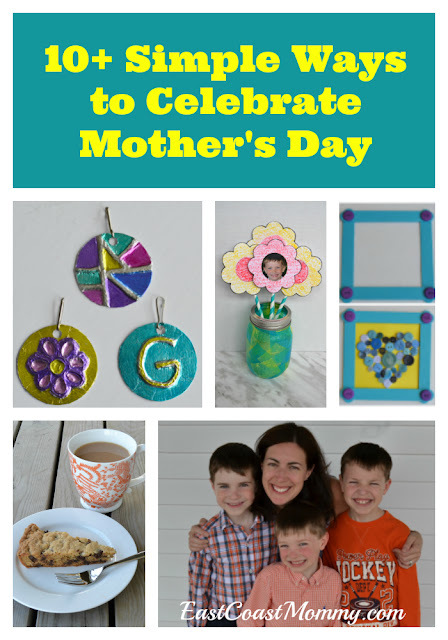 When it comes to Mother's Day gifts, store bought options are wonderful, but no mom can resist the beautiful handmade treasures lovingly crafted by her children. 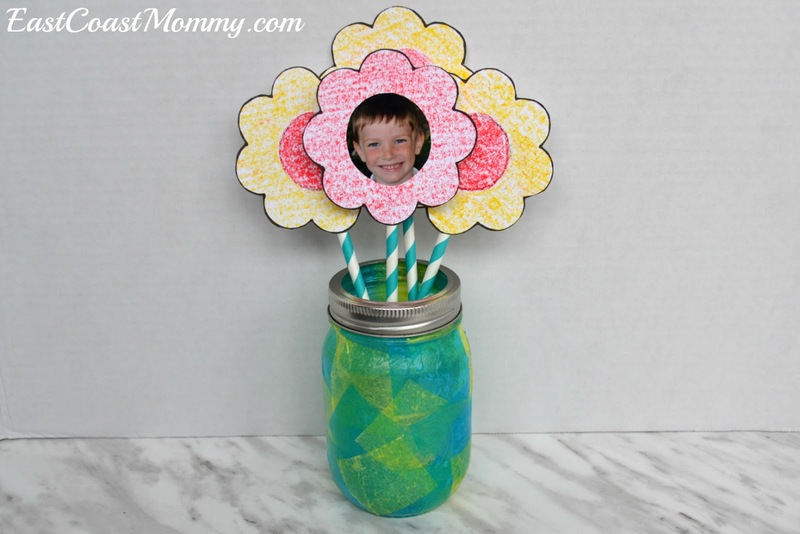 Check out this adorable DIY Mason jar vase and flowers that children can easily make for their moms. 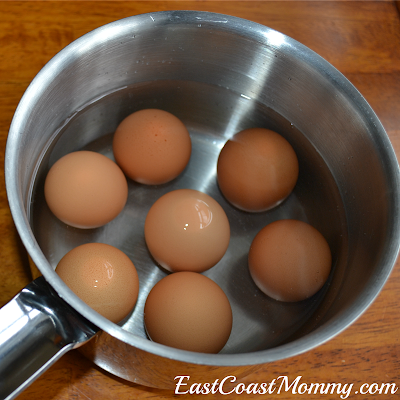 Start with a clean, empty jar. 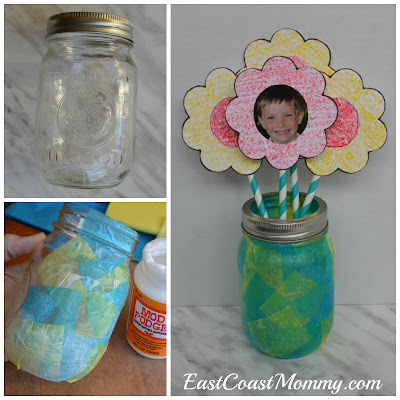 Then, use Mod Podge to cover the jar with small squares of tissue paper. Finish by letting the Mod Podge dry completely. 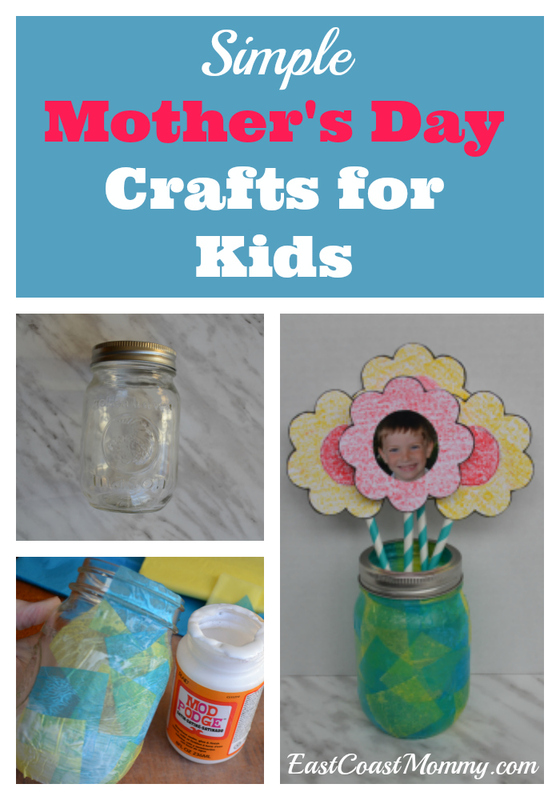 You can put a battery operated votive in the jar, you can add real flowers, or you can fill the jar with handmade flowers. 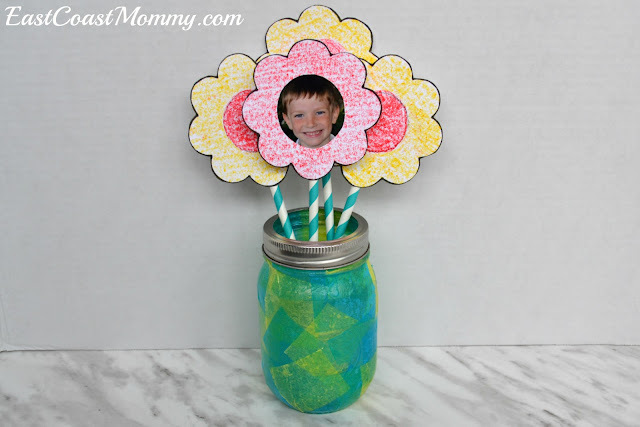 I like the idea of making flowers from card stock, adding a picture to the centre of one of the flowers, and using paper straws for stems. The result is simple and adorable! You could also add a cute tag to your jar vase. To download the tag I designed: right-click on one of the photos below, save it to your computer, and print it like a regular 4X6 photo. Cute, right? 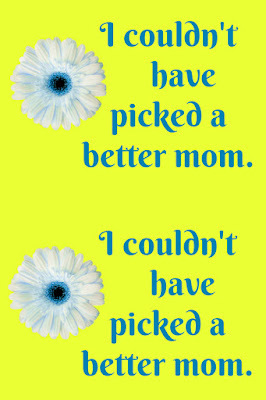 Happy Mother’s Day to all the lovely, hardworking ladies doing their best every day to make the world a better place. You are awesome! I am not a nutritionist or an expert on feeding high performance athletes, but I am a mom of three very active boys (7, 9, and 11) who are always moving and constantly hungry. Generally, I try to feed my boys a healthy and balanced diet, and on game days we stay away from high fat and fried foods. This often means having "easy to grab" snacks in the fridge and packing a cooler when we are on the road. Don't forget to pack dishes, utensils and a refillable water bottle! 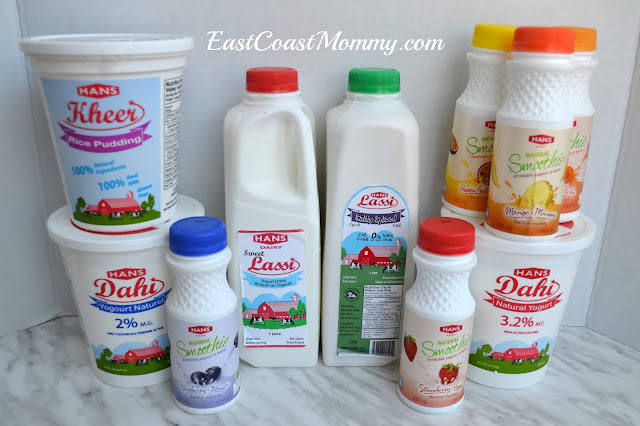 Recently, I was given the opportunity to work with Hans Dairy*, and I was really impressed with their all natural dairy products. They are a small dairy company (run by two sisters) that truly understands that quality trumps quantity every time. 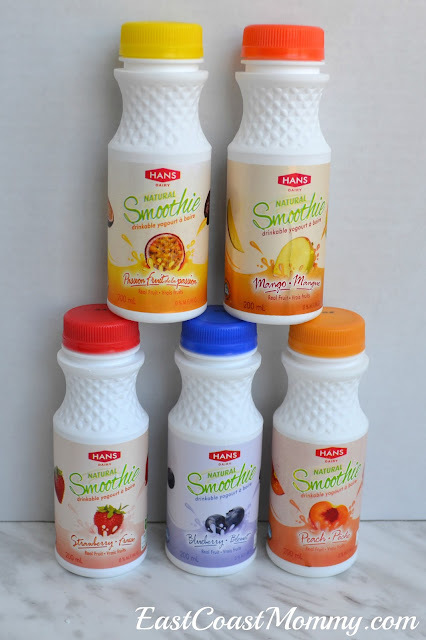 Hans Dairy makes ready-to-eat products such as smoothies, lassies, rice pudding, whipped butter, and yogurt in their traditional and time honoured small-scale operation. Hans Dairy products are free of artificial sugars, flavourings, colourings, and preservatives... wonderful high protein and healthy options for my little athletes. You can also enter here to win a Hans Dairy* prize pack. 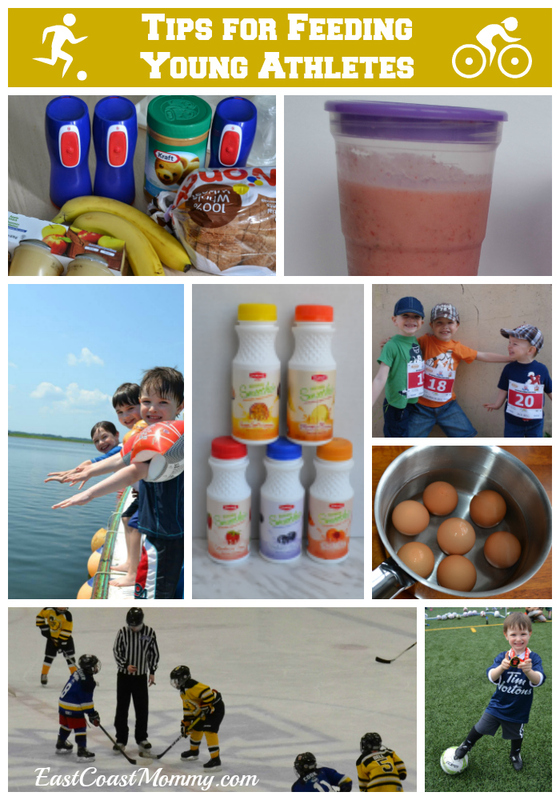 The blueberry and strawberry smoothies were my boys' favourites. It can definitely be a challenge to keep busy children happy and well fed... especially when busy schedules keep you "on the go". I hope you find my tips useful, and I hope you get the chance to try some of the wonderful Hans Dairy* products. Let me know what you think! *Disclosure: I received compensation as part of my affiliation with Hans Dairy .... however (as always) the opinions on this blog are 100% my own... and my love for products that are 100% natural is real. I only ever promote products that my boys and I like and believe in. Keeping up with my boys and their busy schedules is always a struggle, and the constant mountain of laundry they create doesn't help. I can't stop my hard-playing boys from getting sweaty and playing in the dirt... but I can teach them to help me get their clothes clean. Today, I am sharing some tips and tricks for teaching kids to help with the laundry, and I have created a handy laundry chore chart that breaks down tasks by age. It's important to get kids involved early, and it is necessary to set them up for success by giving them age appropriate chores. 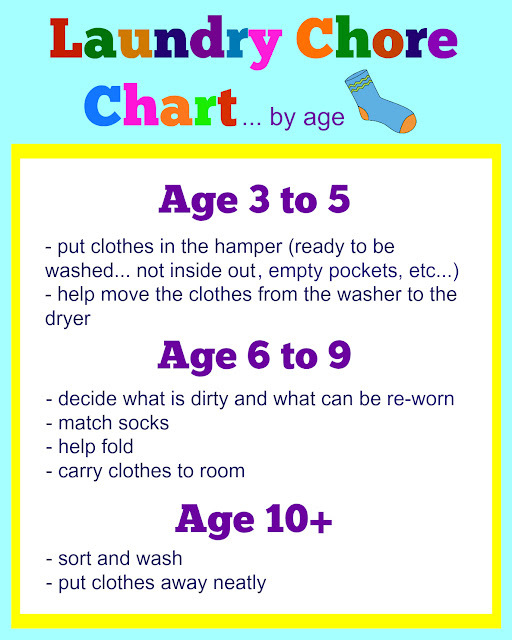 Below, you will find a laundry chore chart that breaks down the laundry tasks (by age) in a way that allows children to build on their skills as they get older and more responsible. To download a copy of this chore chart for free: right-click on the picture below, save it to your computer, and print it like a regular 8X10 photo. Young children (age 3 to 5) enjoy helping, and it is a good time to get them involved in the laundry process. They can easily put their clothes in the hamper. Encourage them to get the laundry ready for the hamper... separate the pieces, make sure the clothes aren't inside out, and empty the pockets. As children get older (age 6 to 9), they can start to take on more responsibility when it comes to doing laundry. They can decide what is dirty and what can be re-worn... i.e. not everything has to be thrown into the laundry hamper! They can also help by matching socks, learning to fold (even thought it may not be the neatest), and carrying their clothes to their room(s). At around age 10, mature children can really start taking their laundry assistance to the next level. 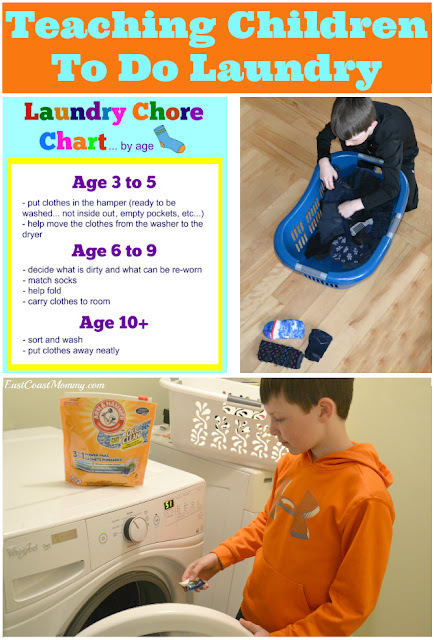 Lessons on sorting and washing can begin, and they can start learning to put away their laundry in an organized way. 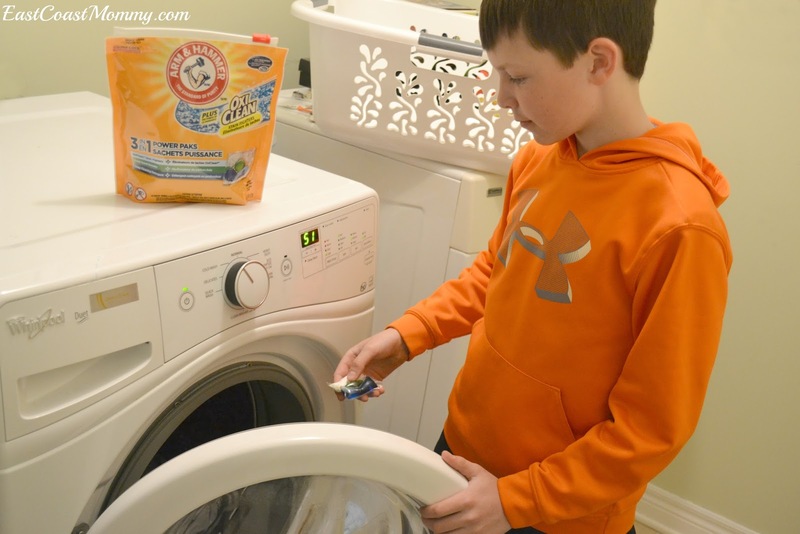 Writing out instructions on how to use the washer, and letting the kids use laundry pods makes the job a little easier. Recently, I was given the opportunity to try out the NEW Arm & Hammer 3 in 1 Power Paks*. These Power Paks will are easy to use, and they will cut your chore time and your budget -- while doing the top performance job you'd expect. The simple, effective, all-in-one triple chamber system features the freshening power of Arm & Hammer Baking Soda, the stain fighting strength of OxiClean, and a deep cleaning liquid laundry detergent to tackle tough stains and keep your clothes smelling fresher, longer. Easy-to-use paks means no bulky bottles, spills or messes. Cold water formula saves energy and money. At just $0.19 per load versus $0.35 per load for other leading brands, this all-in-one detergent gives you the results you want at a fraction of the cost! 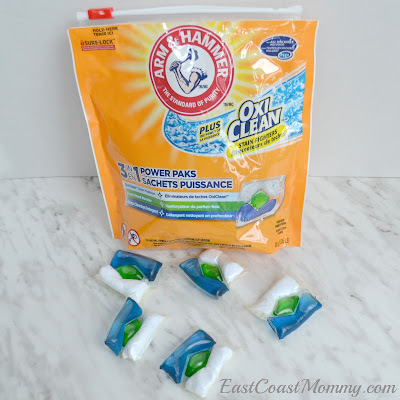 Arm & Hammer Plus OxiClean 3-in-1 Power Paks are available in Fresh Scent and Coldwater at mass drug and grocery retailers across Canada (including your local Loblaws store). 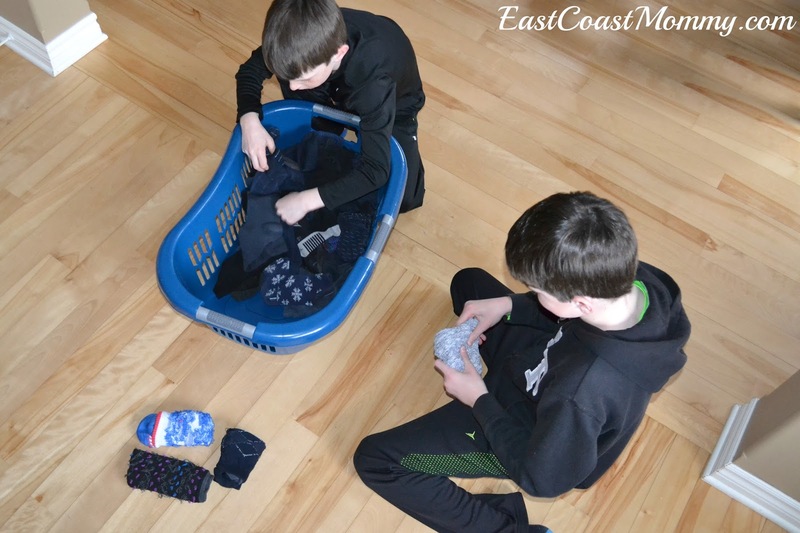 Do your kids help with the laundry? I'd love to hear your tips/tricks for getting them involved. Leave a comment below, or share your fresh experience with me online using #AHFreshPerspective. 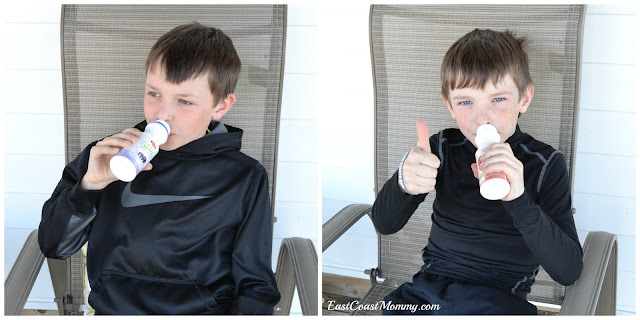 *Disclosure: I received compensation as part of my affiliation with Arm & Hammer .... however (as always) the opinions on this blog are 100% my own... and my love for products that save me time and money is real. I only ever promote products that my boys and I like and believe in.